Welcome! Please sign-in to your account to comment and become an official member. All new members will be reviewed and approved. 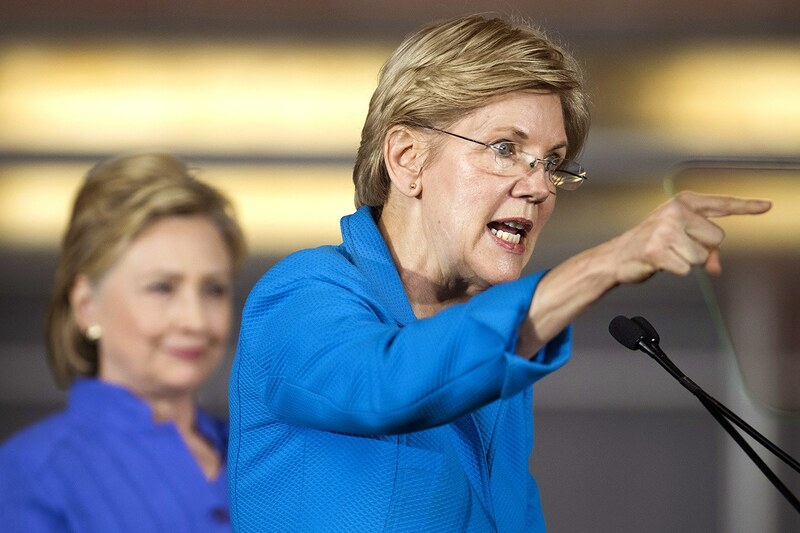 Elizabeth Warren has told everyone that she is a champion for the American people, protector of consumer rights and hero of the working man. Well, talk is cheap. Let’s expose what she actually believes by looking at her actions. There is no way of to demonstrate her true beliefs than to talk about how she killed the Audit the Fed Bill. Elizabeth Warren was against bills designed to audit the Fed and hold them accountable. Senator Rand Paul has repeatedly put forward legislation that would allow for the Federal Reserve (Fed) to be audited, including in 2016 when Democrats controlled the Senate. The Fed is the largest financial governing body and institution in the United States and Fed policy impacts everything from how much families pay on their car loan to whether they can afford a house based on mortgage interest rates. The amount of interest paid on savings accounts and CDs are also determined by what the Fed does. Their policies can have an impact on economic growth or contraction, along with inflation. While they are truly one of the most powerful organizations in the entire world, they are allowed to operate with hardly any oversight. What is worst yet, politicians in Washington have given them this authority. The American people did not choose this, nor have we had any say in what the Fed does. Rand Paul’s bills have sought to change this. His goal is to audit the Fed so that there is transparency in how the Fed operates, makes decisions, and how resources are used. Unfortunately, the bill has died repeated deaths because of hypocrite liberals like Elizabeth Warren who purposefully kill it. Every other major organization can get audited. As an American citizen paying taxes, the IRS can audit you. They could audit you even if you only make $30,000 a year. Yet the most powerful financial organization in the world never gets audited and has no accountability. This is wrong. Elizabeth Warren is a liberal hypocrite. The hypocritical left, like Elizabeth Warren, like to tell people that they are the champions of the common man, but this is simply not the case. When Elizabeth Warren had the opportunity to stand with Sen. Paul on the audit defense bills, she has repeatedly done her best to block the bill and voted against it. This is hypocrisy at its worst because it proves again and again that there is one set of rules for organizations liberals support, or for themselves, and another set of rules for everyone else. Is Obama Against American Children? Why is Melissa Harris-Perry Getting Away with Tax Evasion? © [BLUE HYPOCRISY] 2018. All Rights Reserved.